You've heard by now the sad tale of Christian relief organization World Vision losing donors for aid work because it decided to hire married gay and lesbian employees, said backlash leading it to reverse the decision and not hire gay and lesbian employees. The charity apparently helps needy children around the world. So this terrible story in effect said that American evangelical groups care more about their definitions of marriage more than helping needy kids. One day I hope to pick up a book explaining why American Christianity, or a good portion of it, became radical, un-Christian-like Christianity—what Andrew Sullivan labels "Christianist." And then this is tied, as it must, to radical political conservatism, which isn't what your Edmund Burke loving father envisioned (probably; I'm not that familiar with conservative history, either). It has something to do with the rejection of modern scientific materialism, how that was seen as a threat, and so it became essential that the Bible was inerrant and literal. My burning question as an immigrant is—is this type of religiosity unique to America—the anti-science, anti Christian precepts kind—or is it in other first world countries? Because I would feel better if it were the latter. Note: Cliff Clavin is up there because he once decided to become a standup, and failed terribly. His signature bit was "X—what's up with that?" 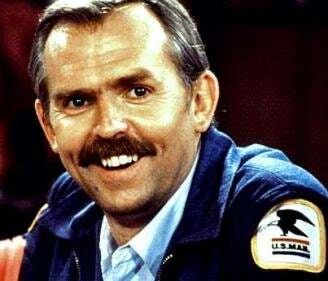 I don't mean to suggest John Ratzenberger is an evangelical. I don't know and don't care. ETA: Sometimes you forget the entire conceptual framework of your posts. I was going to pretend to be a mystically minded alien wanting to study Earth Christianity, and then unfortunately picking the US to do it in. If I landed here and were exposed to the Southern Baptist variety, I'd be Rust Cohle's alien sidekick. What I'm saying is the country isn't a good marketing campaign for Christianity, the religion that once had disciples like Newton and Kepler.